As a Managing Executive for Informative Financial Services, Sherri Stansbury has over 14 years of experience in the financial services industry. 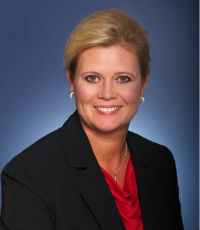 She holds a Bachelor's of Business Administration Degree in Finance from the University of Toledo. In her role as a supervisor, her strict code of ethics places the client's needs above all others and demands uncompromising integrity in every aspect of the firm's business conduct. As a non-producing representative she is able to focus 100% of her time on ensuring that the Investment Advisor Representatives in her division are meeting the standards and requirements set by regulatory agencies and Royal Alliance Associates, Inc.
Sherri is thrilled to be involved with Royal Alliance Associates Inc., and the freedom that comes with being affiliated with an independent financial firm. The unique resources Royal has to offer compliment the services Sherri is able to provide through IFS. Aside from being the OSJ of Informative Financial Services, Sherri is also a Managing Executive for affiliated Royal Alliance Associates Inc. offices in Northwest Ohio. Recruiting advisors and helping to integrate them into the IFS office family. Helping advisors with business development plans including establishing relationships with CPA's. Enhance relationships with independent registered representatives. Sherri and her husband have built IFS into a community focused and reputable company. She is motivated to share the IFS experience with other representatives that are unhappy in their current working environment or with their Broker/Dealer. Sherri and Carey are happily married and live in Temperance Michigan with their children Sam, Spencer, Brooke and Brittney. In her spare time she enjoys a round of golf with family or friends at Sylvania Country Club or attending a NY Yankee ball game. Sherri's family is actively involved at their church Bedford Alliance in Temperance Michigan. We offer unique products & services tailored for Individuals, Families and Businesses. Securities and investment advisory services offered through Royal Alliance Associates, Inc., Member FINRA/SIPC. Copyright © 2014-2019 Informative Financial Services.